Predating all organized religion, the belief in an afterlife is fundamental to the human experience and dates back at least to the Neanderthals. By the mid-19th century, however, spurred by the progress of science, many people began to question the existence of an afterlife, and the doctrine of materialism—which believes that consciousness is a creation of the brain—began to spread. Now, using scientific evidence, Chris Carter challenges materialist arguments against consciousness surviving death and shows how near-death experiences (NDEs) may truly provide a glimpse of an awaiting afterlife. Using evidence from scientific studies, quantum mechanics, and consciousness research, Carter reveals how consciousness does not depend on the brain and may, in fact, survive the death of our bodies. Examining ancient and modern accounts of NDEs from around the world, including China, India, and tribal societies such as the Native American and the Maori, he explains how NDEs provide evidence of consciousness surviving the death of our bodies. He looks at the many psychological and physiological explanations for NDEs raised by skeptics—such as stress, birth memories, or oxygen starvation—and clearly shows why each of them fails to truly explain the NDE. 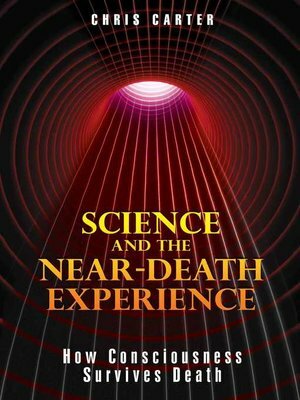 Exploring the similarities between NDEs and visions experienced during actual death and the intersection of physics and consciousness, Carter uncovers the truth about mind, matter, and life after death.